I believe that this inflection point has been reached a long time ago, and that the drag from welfare spending and in the case of the US also from healthcare spending on the productive economy combined with excessive regulation will only worsen as time goes by. 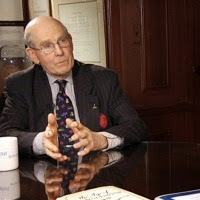 My friend the economist Gary Shilling makes the case for still owning US Treasuries. I tend to agree with him about holding some money in Treasuries (Treasuries and cash: 25% of assets), but I am far more concerned about the value of the US dollar given my negative view about the US economy. I hope my readers will not be losing “their capacity for socially responsible behavior” and that their “sense of personal responsibility” will not dwindle, but always remain strong.